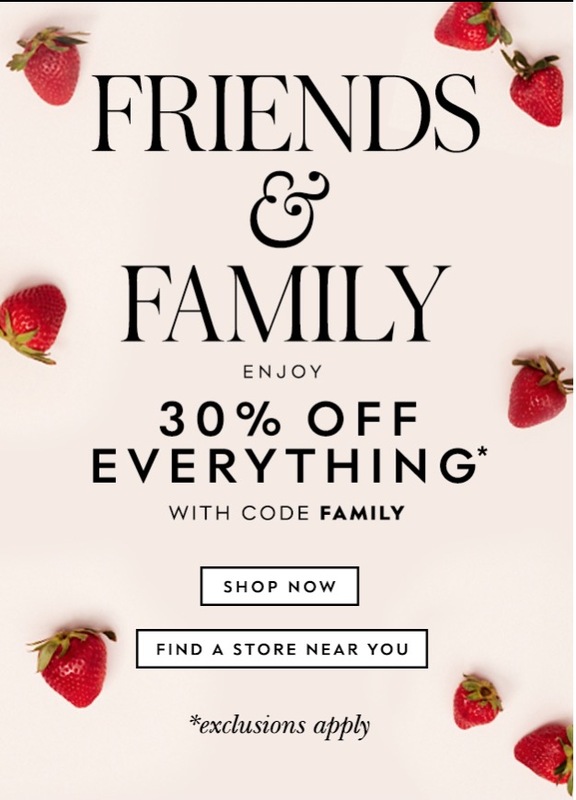 Kate Spade Friends & Family Event Sale: Save an Extra 30% Off Everything with Promo Code! Kate Spade has a new great Friends & Family Event! This sale is on now and includes an extra 30% off everything online with promo code! To get your discount online, enter the promo codeFAMILY at checkout. ThisKate Spade sale is valid on full-priced and sale merchandise and valid until April 15, 2018, at 11:59 pm PT.